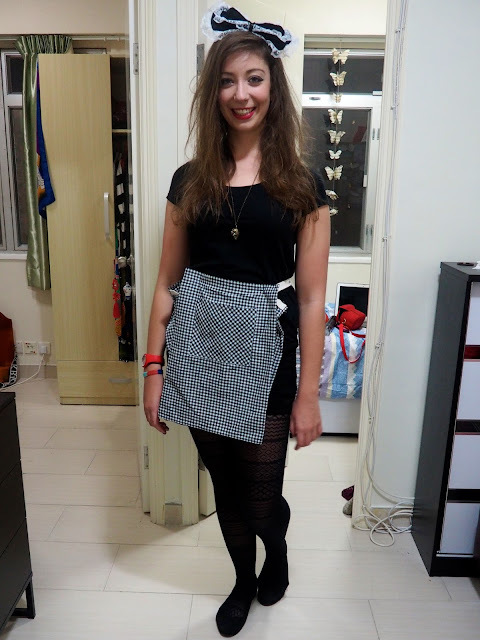 I didn't just go out once for Halloween, I went twice! 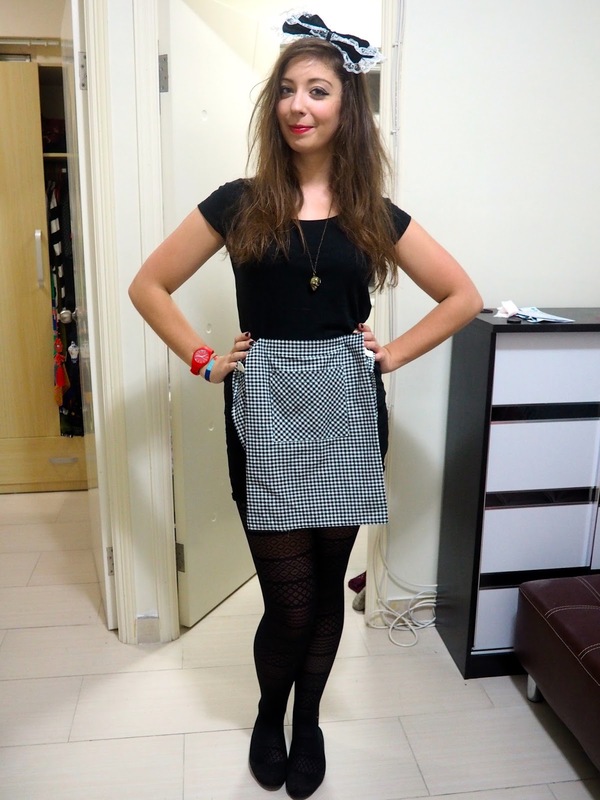 So, you lucky things, today's outfit post is a double whammy, featuring the two outfits I wore. Since I was choosing to dress up twice, as separate things, rather than reusing one outfit, my choices had to be fairly simple. I wore clothes I already owned both times, and simply added a few accessories to indicate what I supposed to be. 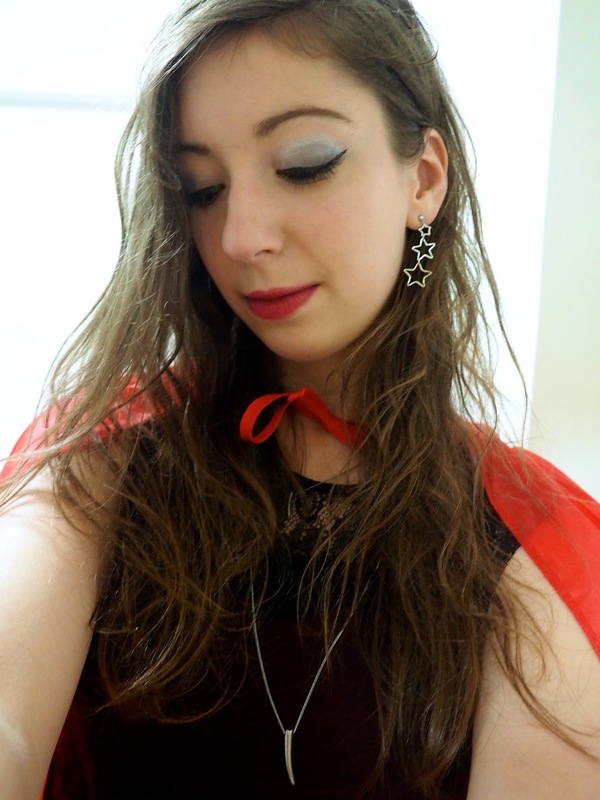 Nothing incredible, but I think both turned out ok. My first night out was 30th Oct, when we went to a showing of the Rocky Horror Picture Show (blog post about both nights is coming soon! 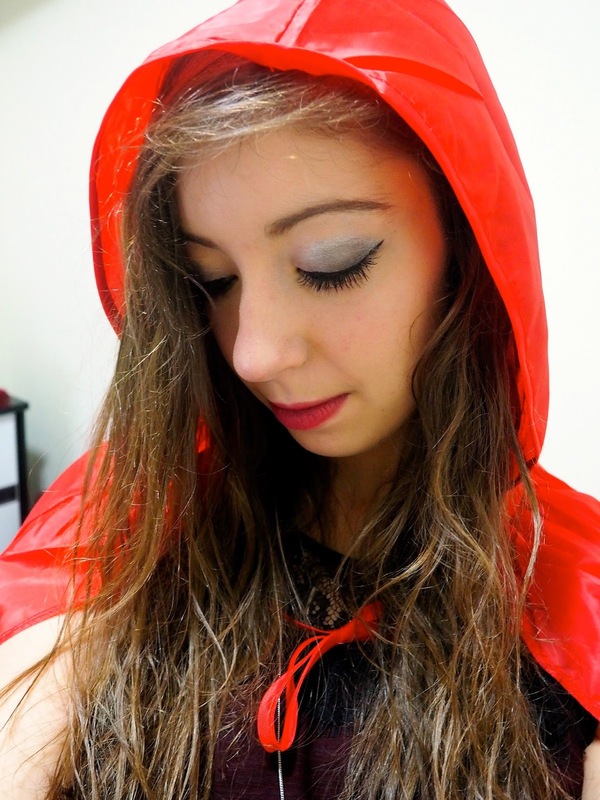 ), where it's custom to dress as a character from the film. 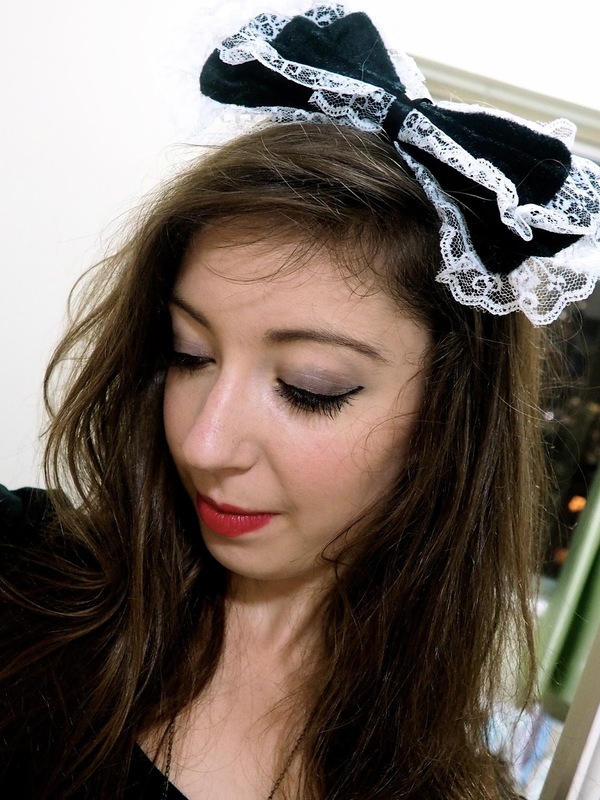 I chose Magenta, the maid or 'domestic', and dressed in all black, with an apron - it was also super comfortable for chilling out, watching a film! I also happened upon this bow, and the white frills seemed a bit maid-like, while the patterned tights were the closest I had to fishnets. For Halloween itself, we were going to beer fest, then to try to watch the rugby, so I didn't want an over-the-top outfit. 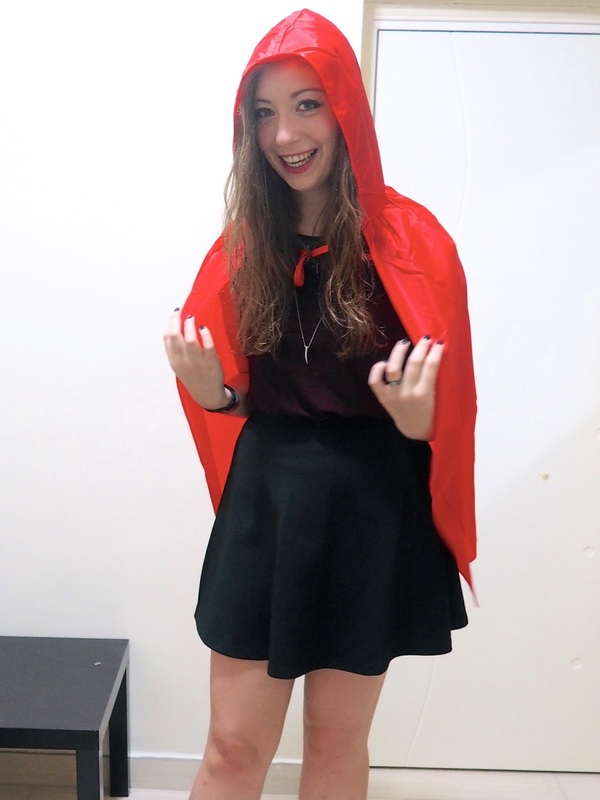 I found this cheap red cape, and figured that would make it pretty obvious I was Little Red Riding Hood. 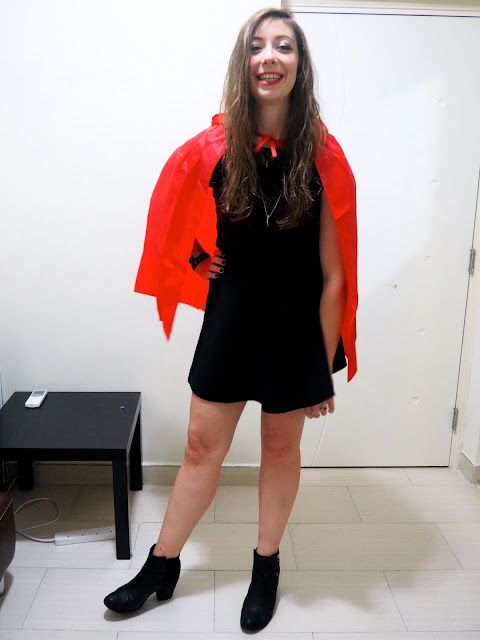 The outfit underneath is nearly identical to this one, since red and black seemed most appropriate. The silver fang necklaces also seemed a bit wolfish! 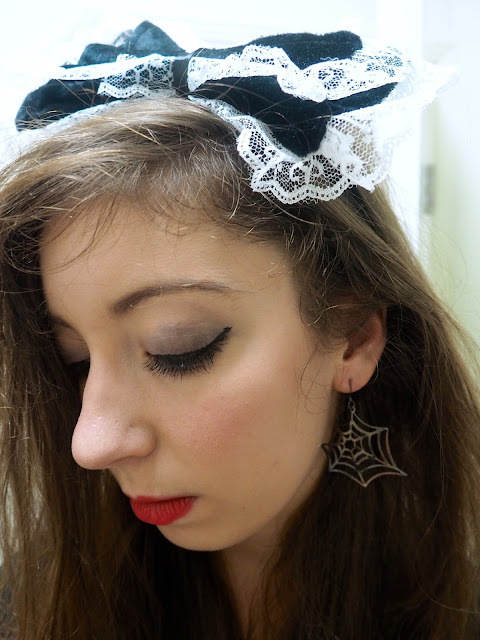 Both nights, my makeup wasn't extreme, but I opted for blood red lips, and bolder eye makeup than usual, and a slightly wild, semi-back-combed hairstyle. 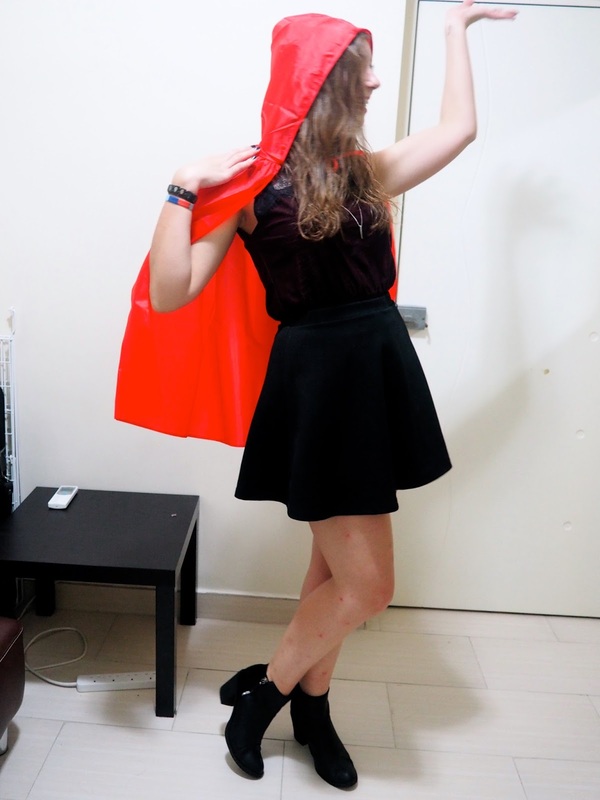 My flatmate took the photos, and I was being an idiot posing about!